Having recently attended WellVet Weekend at Girton College, Cambridge, I was lucky enough to attend some fantastic CPD sessions, as well as teach yoga and meditation sessions to some wonderful vets and nurses. The only downside of attending those sessions, was having to miss out on the ones running at the same time! Therefore, I was absolutely delighted when Charlotte Whincup, a lady I admired prior to the weekend (via social media), and who has since become a friend, agreed to write her session up so that those of us unable to make it didn’t have to miss out. 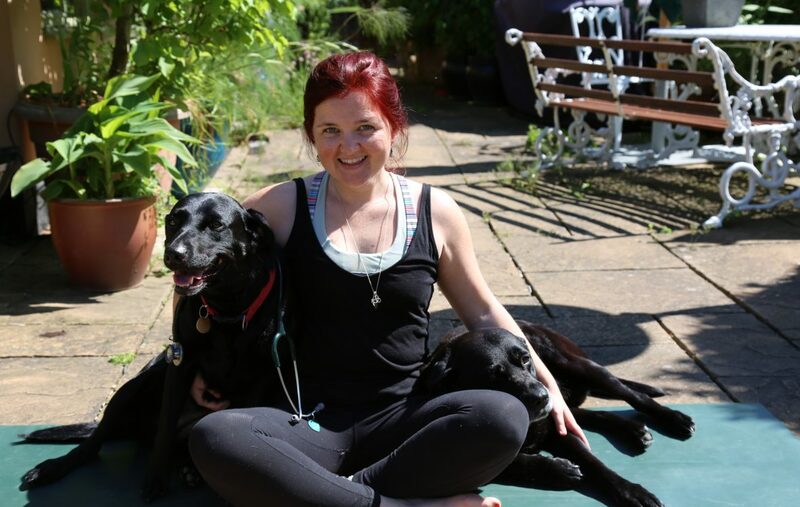 Charlotte is a vet, stress management and wellbeing trainer, and soon to be personal performance coach. Having been in support services for the last 8 years, Charlotte wanted to do more to help people by not just supporting them through difficult times, but by empowering them to make changes so that they can live their lives as fully as possible and in the hope that these interventions may help to prevent individuals from suffering from mental ill-health. The first ever WellVet weekend was a fantastic event with an open, friendly and supportive atmosphere across all sessions. For my workshop, “Pacing Yourself in Practice”, we had one hour to discuss the huge topic of managing energy levels whilst working in the veterinary industry. Delegates were given a choice out of the four topics: food, rest/relaxation, sleep, and exercise. Two were to be covered in more detail in a discussion format, with the other two being briefly covered in a presentation style. The session finished with a goal-setting exercise to encourage delegates to make changes towards personal goals to improve their energy levels. Here I am going to cover ideas to manage your energy levels for each of the four topics, and finish with the template for the goal setting exercise, so those of you who weren’t there can try the exercise for yourselves. We know that food can help to maintain our blood sugar levels and that this is important in maintaining our energy throughout the day. If we go for extended periods without food we can feel lethargic, struggle with concentration, and our mood can suffer (e.g. ‘Hangry’). We also know that high-sugar foods cause a short-term high followed by a crash, leaving us feeling even worse after (even if you don’t have any feelings of “I wish I hadn’t…”). Going long stretches without food is bad because we are programmed to seek out the quickest source of energy; this is why we go for the high-sugar, highly-processed foods. Having healthy snacks at the right time, before we get to this point, can stop this from happening. Whether you are the sort of person who “stress eats” or the sort of person who loses their appetite when stressed, being aware of your personal response and taking steps to plan healthy meals and snacks can help. How do you feel if it’s say 2pm and you’ve not eaten anything since breakfast? How do you feel if you’ve eaten an unhealthy meal? What can we do to make healthy eating a habit every day? What solutions can you think of to make it easier to eat regularly and healthily? Healthy snacks: fruit, nuts, 2 squares dark chocolate, rice cakes with peanut butter, veg sticks +/- dips, or apple with peanut butter, etc. Healthy meals: balance your food groups, include vegetables, lean proteins, carbohydrates and healthy fats. Examples include: stir-fries, baked potatoes with toppings, ‘one tray’ veggie bakes, etc. Cook large portions of foods like soup, chilli, bolognese, stews, curry, lasagne, pies, etc. Eat one meals’ worth at the time and freeze the rest in individual or family sized portions to have a healthy meal readily available on those days when you have no time or desire to cook. Use a slow cooker. This is great for on call nights as you throw everything in in the morning and the food is ready whenever you are in the evening. Rice cookers are another good investment. They get your rice cooked just right without you needing to watch it, and keep rice warm when it has finished cooking, until you (or the rest of your food) are ready. Frozen veg is an unsung hero! Freezing shortly after picking means you have the benefit of fresh veg with all the vitamins and minerals, but without the faff of multiple trips to the shop each week. Pre-chopped, and easy to add to your meals. Rest is so important to our health. Working for long periods without a break leads to stress and exhaustion. I believe that this is the key component relating to our energy levels that most of us don’t do enough of, or don’t rest in the ‘right’ way. Herbert Benson, who first described and pioneered the initial research studies involved in the relaxation response, identified it as the physiological counterpart of the stress, or fight-flight-freeze, response. Relaxation activates the parasympathetic nervous system, switching off the fight-or-flight response and allowing the body to return to its normal, rest and digest state. Physiologically, we run on what is known as “ultradian rhythms”. These are most noticeable during sleep (you may have heard of the 90 minute sleep cycle), but also occur during waking hours. Each cycle last approximately 90 minutes. Our bodies move from a high-energy peak to a low energy trough, and during the latter is when our body craves a period of rest. This suggests that short breaks are needed at approximately this interval to maintain energy and performance through the day. Signs that we need a break include: restlessness, hunger, difficulty concentrating, and yawning. Many of us ignore these signals and keep working. If we don’t take breaks our energy reservoir burns out, leaving us feeling exhausted at the end of the day. Relaxing activities include mindfulness, meditation, progressive muscular relaxation, breathing exercises, visualisation, massage, taking a warm bath, gentle stretching (or Yoga, of course! – VY) or calming creative activities such as painting, knitting, or sewing. We are all different, and learning to relax involves noticing what replenishes you. Different activities can take different lengths of time and some can fit into your working day better than others. A few slow, focussed breaths (e.g. Sama Vritti– VY) between consults can work wonders if you only have a few seconds or minutes. If you have slightly longer then a personal favourite of mine is allowing myself to sit and do nothing other than enjoy a cup of tea. Experiment and see what works for you, then consider how you can make it part of your daily routine. The current recommendation for adults is to get 7-9 hours sleep per night. Do you consistently get that? Sleep is essential for keeping us alert and energetic through the day. In the short term, a lack of adequate sleep can; affect judgment, mood, ability to learn, reduce performance, and may increase the risk of serious accidents and injury. In the long term, chronic sleep deprivation may lead to health problems including weight gain, obesity, diabetes, cardiovascular disease, and even early mortality. Chronic sleep issues have been correlated with depression, anxiety, and mental distress. Reduce intake of stimulants, such as caffeine and nicotine, as these interfere with sleep. Aim to avoid caffeine for up to six hours before bedtime. Smokers should choose not to smoke too close to bedtime. Beware of alcohol, although it makes you drowsy, after a few hours it acts as a stimulant, affecting the quality of sleep later in the night. Try to avoid alcohol within three hours of bedtime. Bedroom environment is crucial. A quiet, comfortable, dark, and cool environment can help promote sleep. Make the most of natural light. Natural light keeps your circadian rhythm on a healthy sleep-wake cycle. Let in the light first thing in the morning and get outside during the day. Exercise early in the day. Exercise is good for sleep as long as it’s taken a few hours before bed, because exercise stimulates cortisol release (an alerting hormone and not what we want when trying to fall asleep). Try to finish exercising at least three hours before bed. Form a pre-sleep routine. Ideally do relaxing, calming activities an hour or so before bed. Have a bath (the warmth causes peripheral vasodilation, cooling the core when you get out, and thereby aiding sleep), or read a book, watch calming TV, or practice relaxation exercises. Go to bed when you feel tired, when you feel drowsy you will fall asleep much more easily. Going to bed when you’re wide awake and struggling to fall sleep just leads to frustration and being awake for longer. If you nap, do it early in the day. If you find falling asleep or staying asleep at night difficult, afternoon naps may be an issue. This is because late-day naps decrease sleep drive. If you must nap, choose to keep it short and before 5 pm. If sleep is a particular issue for you, The Webinar Vet have a Sleep Series which is great. Exercise boosts mood, self-esteem, sleep quality, and energy. Exercise reduces risk of serious illness, including, cardiovascular disease, stroke, and type II diabetes. Increasing your fitness enables you to better cope with the demands of your day. Current recommendations for exercise are 150 minutes per week, involving activities that raise your heart rate, and resistance training. That means that a brisk dog walk that gets you out of breath counts! In addition to the benefits of exercise, recent research published in the Lancet found that “Doing exercise more than 23 times a month, or exercising for longer than 90 minute sessions is associated with worse mental health.” So, there is a balance to be struck. Many of you may already be happy with your exercise routines. For those of you who aren’t, if you are an over-exerciser, consider why? Is it that you are using exercise as a way to manage stress? Would learning other techniques to manage stress be beneficial? For those of you who struggle to get exercise done, what could help? It takes 8 weeks to form a habit; before this point getting yourself out of the door to exercise can be hard. All of the excuses come out and before you know it you’re sat on the sofa instead! What might make it easier for you? Is it organising to go with a friend? Is it taking your kit to work and getting changed before you leave so you are one step closer? Or laying your kit out the night before if you are planning to exercise before work? Making a plan of what you are doing on certain nights can help some people. Think about what it is that will help YOU. With exercise and the topics discussed above, remember that action comes before motivation. Once a habit is formed motivation is easy. Before that point you just have to do it. If it’s still not happening, ask yourself, ‘Is this really important to me?’ If it is then consider again what would help you to get it done. If it’s not then fine, focus your energy elsewhere. Hopefully reading this has helped you begin to think about how you might manage your energy levels more consistently. Using ideas from this, or others that you have been reminded of, have a think of three changes you want to make so that you can have better energy. Follow the diagram below to help you set your personal goals. e.g. I will start running 3 times a week. Mon, Weds, Fri. Round the park near work. Take kit to work, take snack for late afternoon, download “couch to 5K” plan to follow. Ask colleague to join me. Who will support me and keep me accountable? I hope this article has been useful and I would love to hear how you all get on with your goal setting! To contact Charlotte, email her at cmwhincup@aol.co.uk, or follow her on Twitter @cmwhincup.